this is an indicator that can show levels. The indicator uses 4 digits in EURUSD for example on its calculation. the indicator shows the levels where the number of 1 in the binary code egal "number of 1" in input parameters. it will calculate the binary code for the number after the comma. 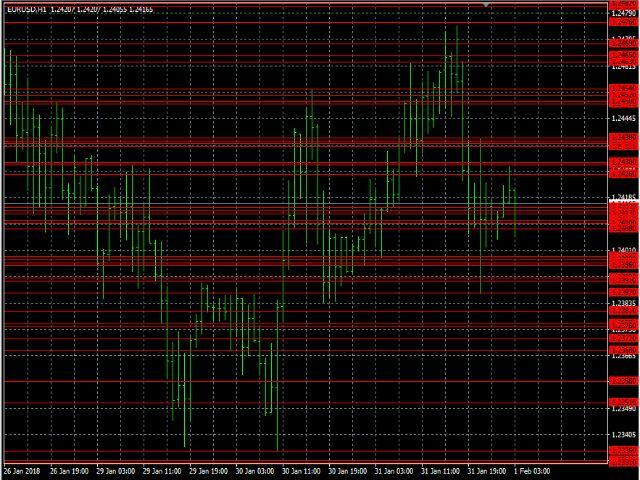 for example if the price is 1.4123 it will calculate the binary code for 0.4123.
interval: the number of pips below and above the price where the price will be calculated. number of 1: the levels will appear for which number of 1 in the binary code. precision: the number of digits used as precision, should be bigger than "number of 1".